These Nissan 350Z LED daytime running lights add great style and look by replacing those stock plastic reflectors once and for all. 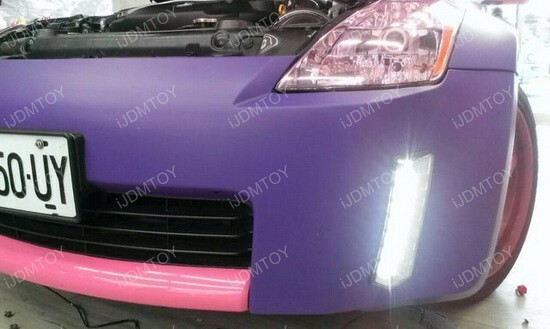 These LEDs are really bright and are a great replacement for aesthetic purposes to give your Z one heck of a unique look. Plenty of people on the road nowadays have 350Z, so what you need is an awesome way to make your 350Z stand out on the streets.